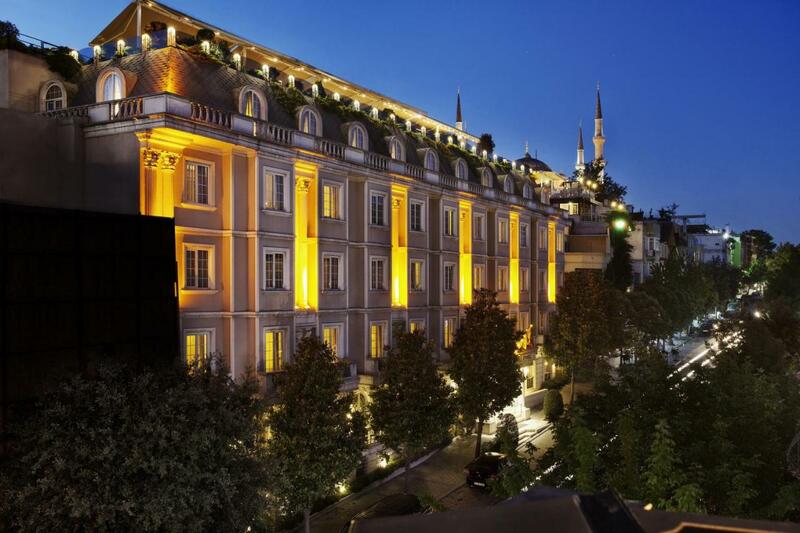 This special category deluxe hotel is located in Sultanahmet, the centre of Istanbul’s historic area. Eresin Crown Hotel features lavish accommodation with chic, elegant fittings. Each room is fitted with traditional Turkish rugs and artefacts. Modern amenities include a spa bath and satellite TV. Eresin Crown Hotel boasts a central location, close to many of Istanbul’s main attractions. It is a 10-minute walk from Basilica Cistern and just over 0.6 miles from the Archaeological Museum. Turkish and Mediterranean cuisine is served in the hotel’s Mosaic Restaurant while the rooftop terrace offers panoramic views of the Old City in Sultanahmet. In the Column Bar you can relax with drinks and refreshments. Fatih is a great choice for travellers interested in monuments, architecture and history. This is our guests' favourite part of İstanbul, according to independent reviews. Most popular facilities Free WiFi Non-smoking rooms Restaurant Room service 24-hour front desk Terrace Bar This hotel is a member of TUROB.